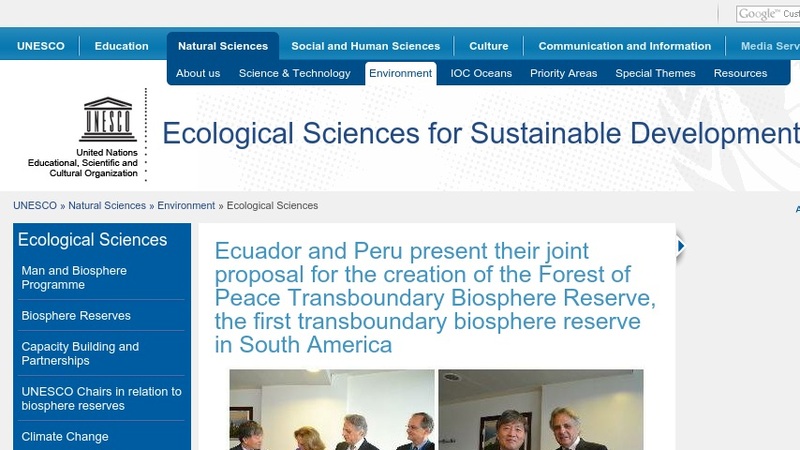 Biosphere reserves are sites recognized under UNESCO's Man and the Biosphere Programme which innovate and demonstrate approaches to conservation and sustainable development. They are internationally recognized, nominated by national governments and remain under sovereign jurisdiction of the states where they are located. Biosphere reserves serve in some ways as 'living laboratories' for testing out and demonstrating integrated management of land, water and biodiversity. This online resource features frequently asked questions, an interactive map that links users to information on individual reserves, and a search engine that allows searches by country, individual reserve, or keyword. Other available materials include a written listing of biosphere reserves and a listing of documents on biosphere reserves. The site is available in several languages, including French and Spanish.